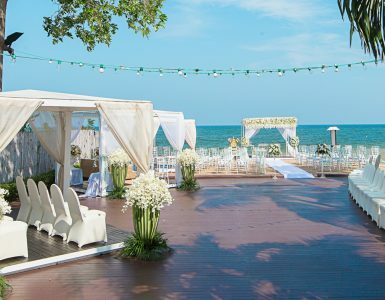 Because of the convenient travelling distance from Bangkok by car, coupled with a variety of activities for you and your family to enjoy, Hua Hin has its own charming atmosphere and beautiful beach. Nestled along the stretch of golden sand is a variety of restaurants that you can enjoy the freshest seafood. You will also find a famous dessert cafe and handmade market in the garden called Cicada Market. A fantastic Hua Hin hotel located on the beachfront of Hua Hin area, Novotel Hua Hin offers 242 state of the art rooms and suites. 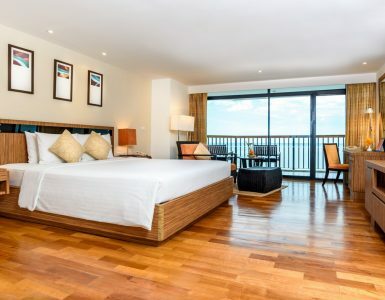 Each room features breath taking ocean views to ensure you have a spectacular stay at this Hua Hin beachfront accommodation. In addition to our spectacular rooms, the hotel also offers the ultimate in food & beverage facilities. Our restaurant features an extensive menu designed by our French executive chef, Richard Grandis. The inspirational menu is complemented by a modern and cozy design. Chill & Relax at this Hua Hin beachfront accommodation when the lights go down. Champions sports bar & Grill at the lobby is the best place to watch your favorite sports on the big screens while rock tunes play in the background. Read the reviews of bloggers who stayed at Hua Hin Beachfront Accommodation.